Jimmy: Kicking a slush-berg in his sneakers. 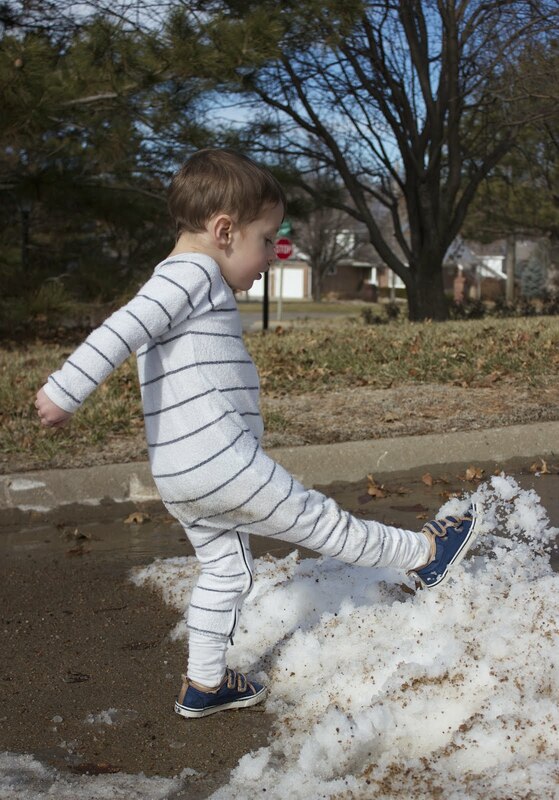 Kicking piles of icy snow is a favourite pastime of Jimmy's and Daddy captured this great photo on a warm(ish) day making use of a recent slush-berg, that was once snow that covered the roads. We're probably not going to see any more snow this winter, so it was important to make the most of every last snowflake and every last crunchy, slushy pile of ice.